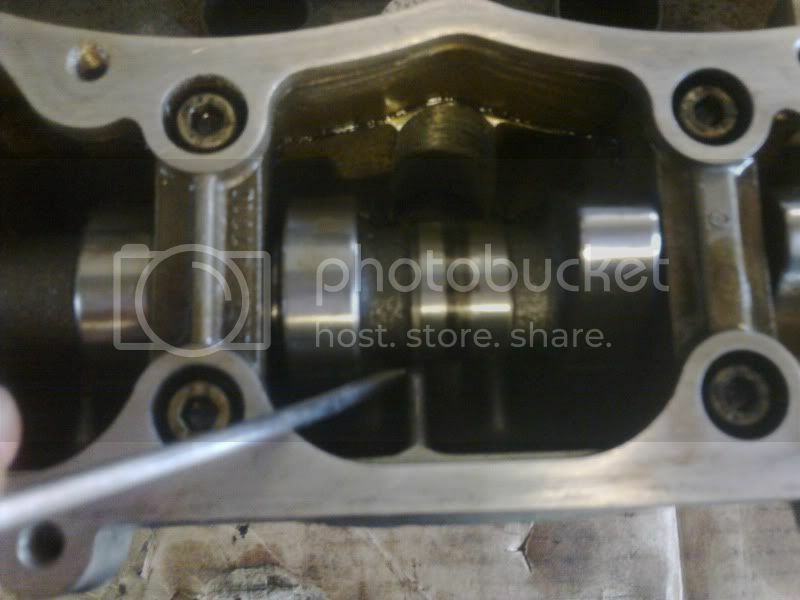 - New oil pump, shells, rings, block rehoned, etc. Also changed the cam belt and tensioner as there was no record of this being done! I am currently reading up on lowering the torsion bar so that should be done soon. Bought some new steelies from Peugeot as the old ones were rusty and discoloured. See the pic's!!! Fitted the 3" Pugsport decat system on fri thanks to 106parts.com! So I'll get some new pics up soon. But have to say the engine is much happier to rev now as the old system was a Bosal cheapy job. 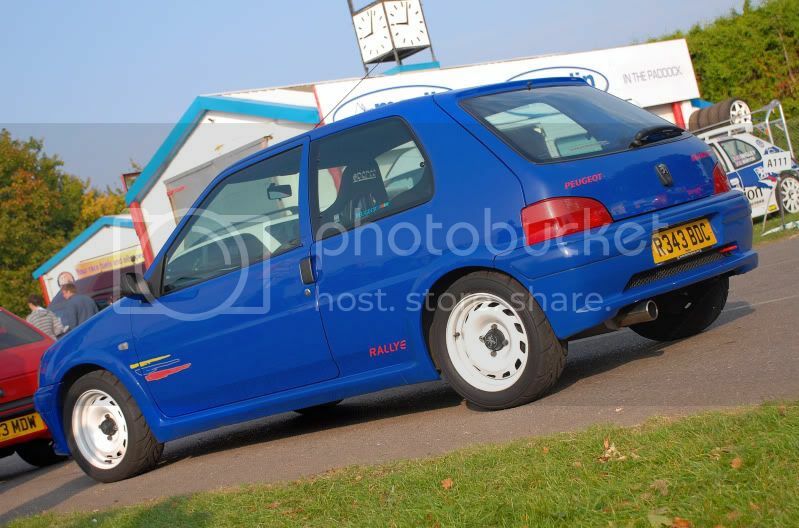 Looking forward to doing more mods, all in keeping with the Rallye theme of course as I am very anti-chav. Last edited by Ian E; 26-04-2014 at 06:37 PM. Pops and bangs like a gooden but find it very noisy between 2000-3000rpm. Otherwise I bloody love it! Nice and quite on the motorway aswell. I do need to change the rear wiper arm for a more modern one. Any suggestions? I like the wiper on the white Euro 106 Ralllye featured in PGTI. Any ideas what that is? 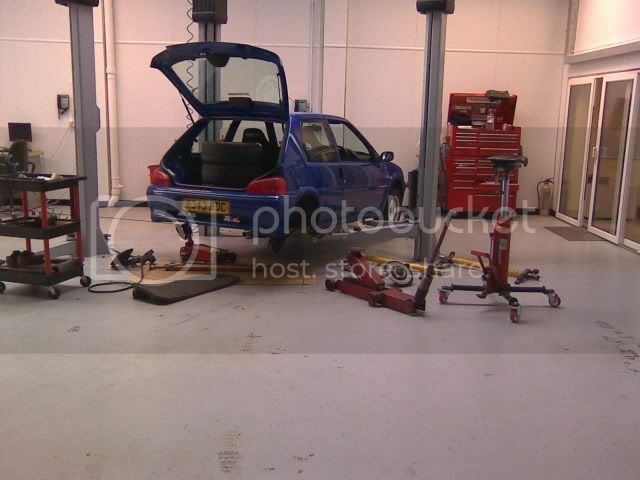 Also picked up a spare wheel, jack and brace last weekend from a forum member Tyler. Last edited by Ian E; 19-06-2011 at 10:11 AM. 1) a nice 206 rear wiper looks pretty cool mate. 2) other option is to remove it and put a rubber bung in it. gives the car a more smooth rear end. 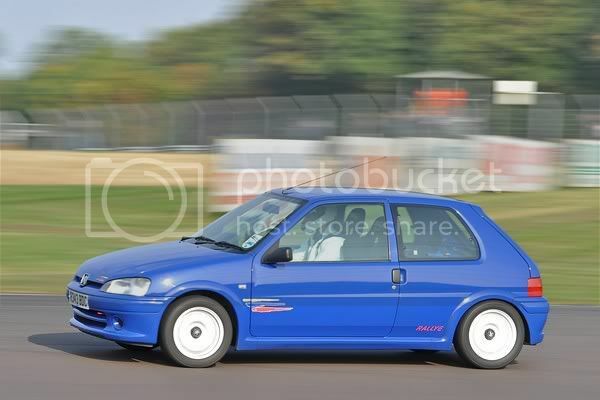 clio wiper arms a popula one aswell isnt it? Quick update on the Pug. And I've changed the rear wiper arm for a late model 106 version. Much nicer. New tyres are next on the list but might go for 185's this time. I'll take some pics on Tues once its fitted. Last edited by Ian E; 19-06-2011 at 10:13 AM. Much better than the Airbag jobbie! I'm off for a drive. Last edited by Ian E; 19-06-2011 at 10:14 AM. Took 6 hours to unseize the beam. Looked like it had never been touched! Also changed the gearbox output shaft seal which was leaking and changed the gear oil using Peugeot 75w80 gear oil. Outer ball joint has play so will need doing soon as well as an engine oil change. Last edited by Ian E; 19-06-2011 at 10:16 AM. Rear beam was knocking, so after much searching on this forum I found a thread where someone mentioned welding a washer over the ARB plate. So on sat I did this little mod and its done the job. Might weld the 13mm bolt in place at a later date cos it still comes loose! So thanks to all on this forum. Changed the sparkplugs for some genuine Pug items and changed the oil and filter. Also did a brake fluid change. Yoko's are pretty good all rounder. Been on there a while now. Next mod is a set of shocks and rear brakes are getting low. Last edited by Ian E; 19-06-2011 at 10:17 AM. I made the brackets from some unequal angle aluminum that was lying around at work. These seats are only temporary, whilst I save up for some proper bucket seats and harnesses. Last edited by Ian E; 19-06-2011 at 10:18 AM. But I really love my hot hatchs. Its an illness!!! Small update : Rear seats and shelf removed. And yet further work into why the rear antirollbar makes so much noise!!! Last edited by Ian E; 16-09-2008 at 09:10 PM. Rear beam update - I tried drilling the holes out larger and using an M10 bolt but that didn't work. Its not the ping noise you get if the Antiroll bar plates are loose but a metallic bang over bumps. So I've given up with rear beam noises, so might try and find a low milage 2nd hand one. Let me know if anyone has one. Last edited by Ian E; 19-06-2011 at 10:20 AM. I've replaced the antiroll bar plates on both sides now to cure the knocking noise. The antiroll bar was loose in the old plates, causing a noise. New plates were stiff to slide on to the antiroll bar. Been ok for a few weeks now. Result!!! Drove all the way to Wigan to buy them this morning. Got home and stuck them in!!! Went for a drive... bloody awsome!!! Removed rear door cards and front seatbelts at the same time. Also did another oil change at 110,200miles. The new seats look lovely! Some good progress being made on the car! I have a set of OMP one's from Anniversarallye that you can have for a fiver or so? I think they're blue. Oh and welcome to the Sparco Evo club! Thanks to Ponk for the OMP harness pads! Remove seats and carpet to fit Wilwood bias valve and pipes. Weld harness points to floor and paint. Will be refitting the carpet when all the brake pipes are in as I use the car everyday. Whilst its at work I'll be removing the rear beam to treat the surface rust around that area. Should be ordering some B8 shocks but have yet to do that. Last edited by Ian E; 19-06-2011 at 10:21 AM. Ooooo very nice! Better make sure we don't park next to each other at any shows, wont be able to tell them apart! I was just thinking that when I was reading your blog. But its easy... you have red seatbelts! Car is looking good Pete. Not driven it yet. Still need to change front dampers. Also had to weld the pug sport due to a crack. Painted the brake calipers black. Removed a load of dodgy stereo wiring from previous owners. And general tidying up. Last edited by Ian E; 19-06-2011 at 10:28 AM. Very nice, what's next on the list then? Need to change the front discs and pads. Any recommendations??? What you using Pete? I'm running 266mm 306 S16 brakes, just standard Bendix discs and pads at the mo. Although as soon as I can be bothered i'll be fitting some DS25000 pads. Been driving it for a week now. Played about with the bias valve for a bit. Brakes are now working as they should!!! No more rears locking up!!! Bilstiens are great. Thought they would be hard but you'd hardly notice them. Much more postive through corners and more grip from the tyres. Need some rear door card covers asap as well. Last edited by Ian E; 01-08-2009 at 06:02 PM. Been driving it for a week now. Played about with the bias valve for a bit. Braked are now working as they should!!! No more rears locking up!!! Strange isn't it? When I fitted mine I was expecting it to be teeth rattlingly bad. The only time I find the B8's harder to live with than standard is if I hit a pot hole. Last edited by Ian E; 19-06-2011 at 10:31 AM. Also just picked up this evening a brand new set of steelies ready for some A048s and new boot lid stickers as the old ones were peeling off. And a new fuel filter! Last edited by Ian E; 19-06-2011 at 10:32 AM. Yoko A048 185/55/14 (soft) on my new set of steelies. These tyres are amazing!!! The level of grip is miles better than the Yoko S-Drives that I have been using. I will be keeping these as my track day tyres but I can see its going to be difficult to not have them on all the time!!! I've only driven 20 miles so far!!! Last edited by Ian E; 19-06-2011 at 10:34 AM. Probably wasnt helping my issue of pulling to the left on hard braking. Also plumbed the brake bias valve to use all ports from the master cylinder instead of just one. And now have the bias valve wound fully in. Last edited by Ian E; 19-06-2011 at 10:35 AM. Carpet and roof lining now removed. Looking for a cage soon. Last edited by Ian E; 19-06-2011 at 10:37 AM. Cars been running really well lately. Coming up on 120,000miles. I had to weld in a CAT for the MOT last month so performance is down slightly. One advisory reference slight play in rear wheels caused by rear beam bearings. So took the arms off and really packed out the bearings with LOADS of grease. Seems to of done the job. Looking for a 16v engine, loom and ecu at the min. PM me if you have one for sale! Last edited by Ian E; 19-06-2011 at 10:46 AM. I'll have an ecu unlocked by Bluehawk for sale soon dude, probably after xmas I think. Last edited by Ian E; 19-06-2011 at 10:47 AM. 1. Bought a 16v engine (TU5J4) which I've striped and am currently rebuilding. 2. Fitted some 4 point, 3inch Sparco harnesses. Much better! 3. More soundproofing removed and Grip Tape added to both footwells. Really loving that! 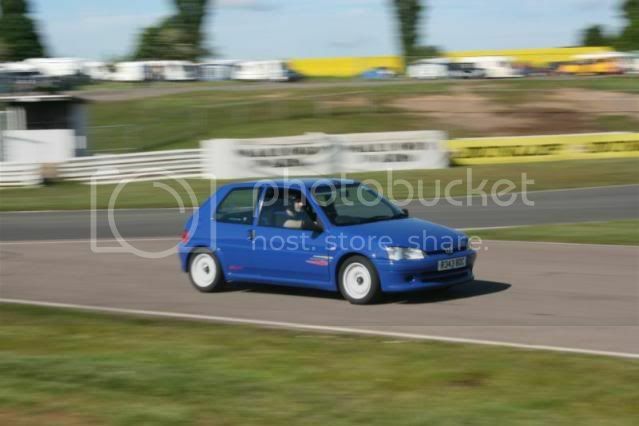 Need to get some new pics up as soon as the weather improves and once I have some of the parking dents removed! Looking for a set of cams for the 16v and a 4branch manifold in the near future. Parking dents now all done! Happy days! 16v engine is totally striped at the min. 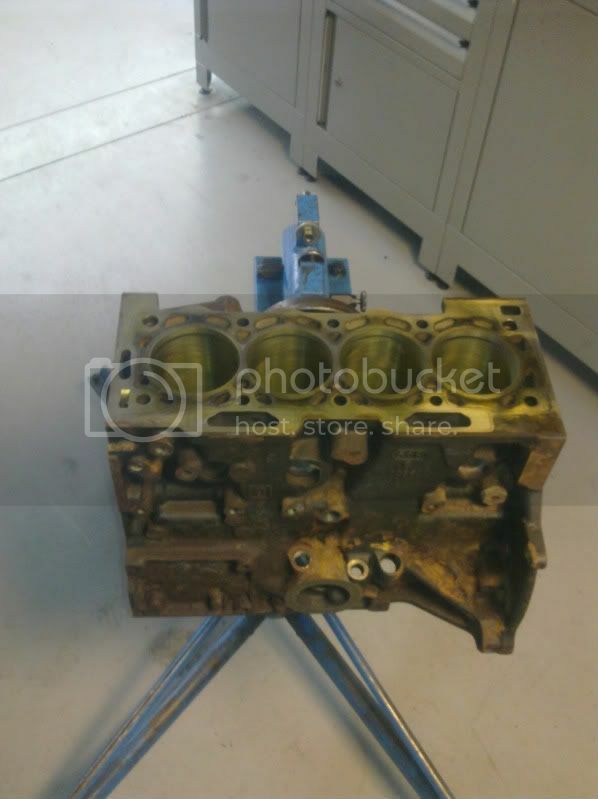 Engine block is currently away being re-honed and cleaned. And also ariving today a lovley set of CATCAMS 708s. They look massive next to the standard cams! Started lapping in the valves to the head yesterday but got bored. Only did 4 valves! Thanks for the offer but I've spent enough at the min on her!!! Last edited by Ian E; 19-06-2011 at 10:49 AM. Never read before, will deffo keep an eye now! Nice work! A little update. 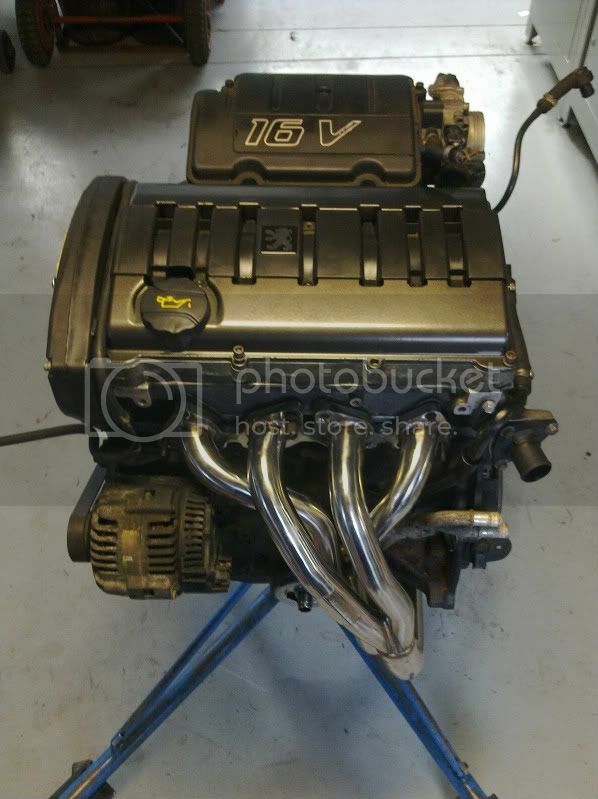 16v engine now fully rebuilt with Catcam's 708 and Raceland manifold. Waiting for an engine loom (Pete!!!!!!!!!) then it will go in asap. Last edited by Ian E; 19-06-2011 at 10:51 AM.